The Trump administration has been in the spotlight for its security clearance woes. So it perhaps should not be surprising that, according to multiple sources, the White House is considering a major overhaul of the entire background investigation program. In a meeting last week, Office of Management and Budget Director Mick Mulvaney met with officials from the Office of Director of National Intelligence, the Defense Department and the Office of Personnel Management to discuss another potential major change in personnel security, the third in just 18 months. The 2018 National Defense Authorization Act paved the way for Defense to take back control of its own investigations—a job it held until 2005, when the program was moved to OPM in response to cost overruns, major delays, and a pervasive backlog. 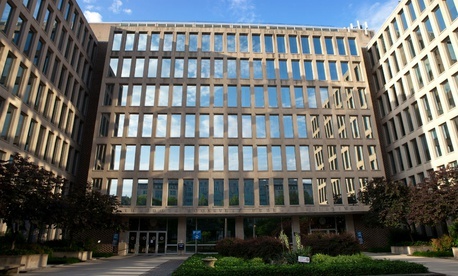 While Congress has already approved the workload shift back to Defense, members of Congress and other stakeholders have repeatedly questioned the possibility of redundancy with the two programs—OPM’s National Background Investigations Bureau and Defense—basically performing the same function, albeit for different government customers. The White House apparently shares that concern and is reportedly weighing the option to move the entire background investigations program to Defense. “The frequency of change, and the willingness to allow politics versus history to drive decision making, continues to undermine a program struggling to find solid terra firma to build a plan that would address the backlog of over 725,000 background investigations,” said Merton Miller, former deputy director of the NBIB. In addition to the redundancy question, another concern with both OPM and Defense conducting background investigations is that both agencies will struggle to hire and maintain an investigator workforce. NBIB currently employs more than 7,200 contract and federal background investigators. Hiring, training, and retaining those background investigators has been a major cause of the current delays and backlogs. The problem began with OPM’s 2014 decision to cancel its contract with U.S. Investigation Services after the security clearance contractor was targeted in a cyber attack that compromised the files of government workers. That decision resulted in a 65 percent reduction in investigator capacity overnight, Miller notes. It’s unclear whether Defense will be able to attract and retain a sufficient investigator workforce as NBIB continues to run its program. If the White House ultimately decides to transfer NBIB functions to Defense, there’s also the question of whether the bureau’s 7,200 investigators will make the move, as well. It’s also not clear if Defense has a case management system in place to facilitate investigations. The department has been leading the push for continuous evaluation to replace periodic reinvestigations, but NBIB has retained the case management function, an IT system in need of its own overhaul. OPM Director Jeff Pon has been on the job less than a month. His welcome message touted the need for major reform, rather than piecemeal change. He also emphasized how important civil service reform is to the Trump administration. Current proposals may mean streamlining the OPM mission to more centrally focus on federal employee services, rather than fee-for-service programs like NBIB’s functions. In addition to proposals to eliminate OPM’s background investigation functions, there’s another proposal to move OPM’s Human Resources Solutions, which provides HR services to agencies on a consulting basis, to the General Services Administration. The organization includes a federal staffing center and leadership development program, among other resources. Moving two major divisions would cut OPM’s mission by a quarter. Because OPM shares administrative functions across programs, the decision to move the programs would have an immediate impact on the budget, workforce and influence of OPM. While some government agencies that already conduct their own investigations would likely remain independent—including the CIA, FBI, and State Department—Defense would move into a service-provider role for a variety of other agencies that currently depend on NBIB as their service provider.